On October 12, a barge-mounted crane collided with the bottom of the Sunshine Bridge in Donaldsonville. 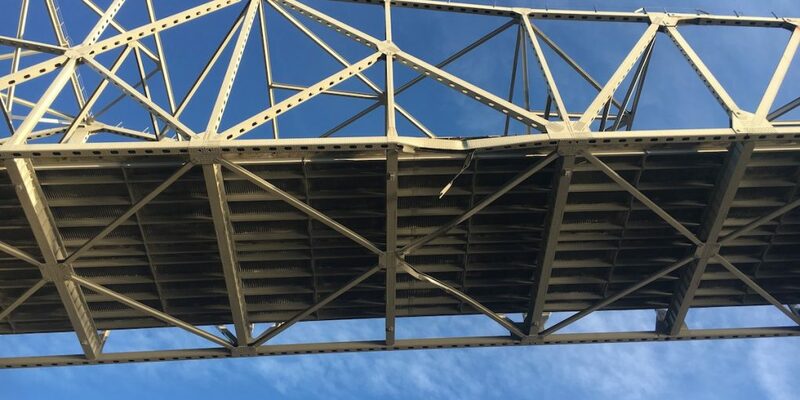 The damages done to the diagonal bracing of the bridge led the bridge to be deemed unsafe by the Department of Transportation and Development (DOTD) closing the bridge until December 1, when one lane in each direction was reopened. According to The Advocate, the maintenance will not only include emergency repairs as a result of the collision but maintenance which was scheduled before the accident occurred. The previously scheduled maintenance on the 54-year old structure, “will make the bridge safer and will extend its life,” said Shawn D. Wilson, secretary of the state DOTD. The bridge is partially opened as of now but will be completely closed during the weekend of January 19-20. The emergency repairs have been completed, but maintenance on the bridge will be ongoing, with varying lane closures during the upcoming months. The aging structure was in need of repair before the accident, a trend which is seen throughout Louisiana. Our state’s roads and bridges recently received a grade of D – from the American Society of Civil Engineers’ 2017 Infrastructure Report Card. Louisiana was also listed as 2nd in the nation in the number of structurally deficient bridges based on square footage of bridge deck. In all reality, it shouldn’t take a barge collision to put bridge maintenance in motion as the dangers of Louisiana residents riding on neglected structures every day can be extremely dangerous. The safety of the Louisiana citizens who ride these bridges daily should be a priority the state.